Global trends are evolving the business landscape and we find business world wide are investing in technology that offers real time data about buying patterns and preferences and customer behaviour. This data is then used to design marketing and sales campaigns that drive sales growth and also maintain customer loyalty. The salesfundaa CRM software collate data about customer interactions with the business through various channels such as phone calls, website, emails and social-media. This real time data is very useful and can be acted upon by aligning marketing and sales efforts to procure business and drive return on investments (ROI). 4 ways your Salesfundaa CRM software software can be used to gain business insights. The salesfundaa CRM software is on a centralised platform and also data input is segmented as per customers’ purchase history, buyer preferences, concerns and personal information. This unique combination facilitates synchronising of Data list in a manner that any modification to one is automatically reflected globally in the software so that the database is constantly updated and accurate. This avoids duplicity or redundancy of records. It further facilitates seamless functioning of departments and naturally adds to the credibility of business in customers perception. salesfundaa CRM software have analytic tools to compute sales and marketing metrics that show what strategies to apply in marketing campaigns and sales efforts. This gives an idea of which campaigns and products and services are working. 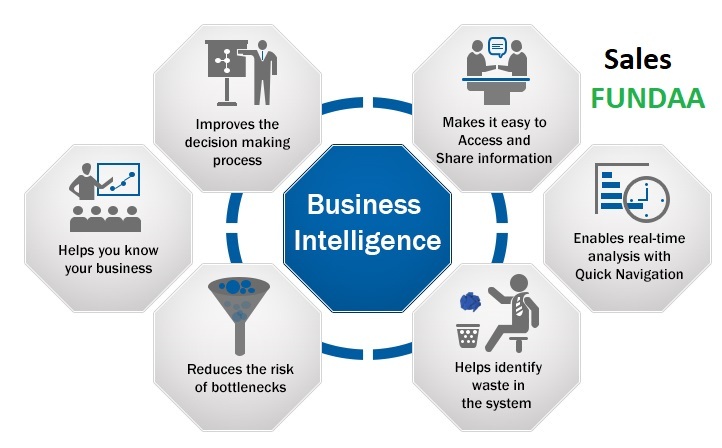 It enables arriving a better business decisions by providing data-driven insights. The salesfundaa CRM software can further simplify supply chains by analysing and interpreting results gathered by the software. Further adding to maximized profits. The salesfundaa CRM software system has an ability to segment customers into lists such as customers that are likely to make repeat purchase, customers that led to maximum returns, customers who approached but didn’t convert, etc. This enables relevant content and services to be targeted to each segment to optimise efforts and maximise returns. The salesfundaa CRM software is indespensible for business management today. It is a unique combination of analytics for sales and marketing and an ideal contact centre service that lends enterprises the competitive edge they require to sustain the business BOOM. Further it is a cloud-based CRM and mobile CRM that allow data to be hosted on an external, virtual space that can be accessed by employees from any place. Call us on 9235 35 35 35 for a free consultation on how to buy and optimise your salesfundaa experience.